I modified the Pinwheel Baby Blanket pattern by not stopping where it suggested and continuing until it was a good lap-size instead. It’s a fairly simple pattern. 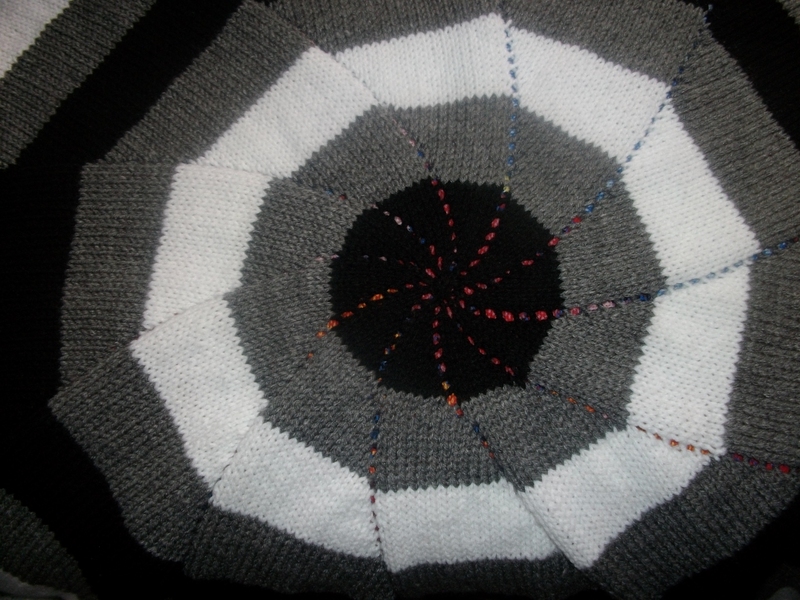 Every other row you add a yarn over to each group, creating the nice lines in the pinwheel. 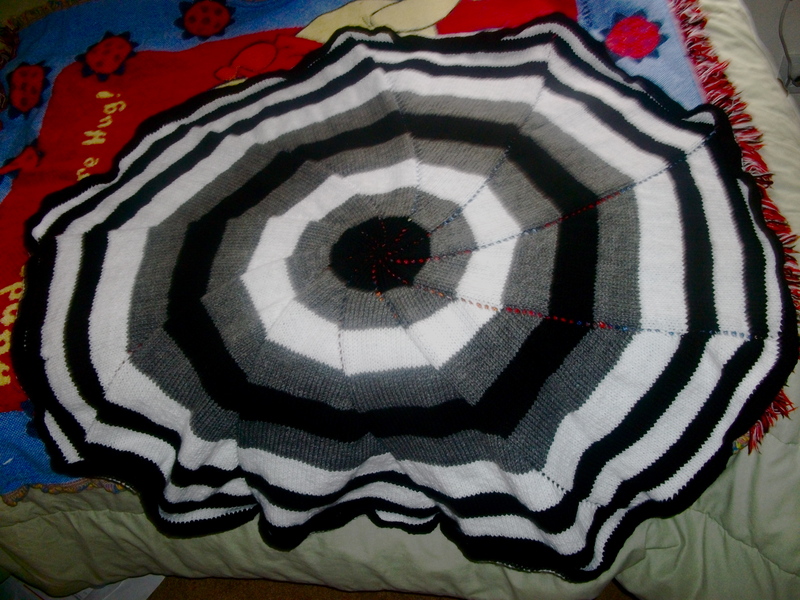 I also chose to do stripes with gray between the black and white in the middle and getting smaller with just the black and white on the outside. On the edge I just finished with a row of single crochet stitches and then a row of double crochets. I’m considering doing an actual baby-sized one plus a toddler-sized one with a few embellishments in a month or so when the family I work for grows. It’s always a good idea to get the big brother something when the little brother comes so he doesn’t feel left out, and what better way than somewhat matching gifts.